Don't forget flowers at your next shower! For the new bride-to-be or mother-to-be, accenting her shower with gorgeous seasonal blooms makes it much more special. HARDIN'S GARDENS GREENHOUSE & FLORIST wants to make your shower truly special with beautiful floral arrangements and centerpieces. Spruce up your shower with amazing flowers. Having fun table centerpieces and even a floral arrangement for the special bride-to-be or new mom to take home will create an ever-lasting memory. HARDIN'S GARDENS GREENHOUSE & FLORIST designs whatever you have in mind. From simple, sweet to outrageous — whatever your style, we'll design it. It's all about satisfying you! For your next shower, don't forget flowers from HARDIN'S GARDENS GREENHOUSE & FLORIST. We'll display the theme of your shower through every floral design we create. 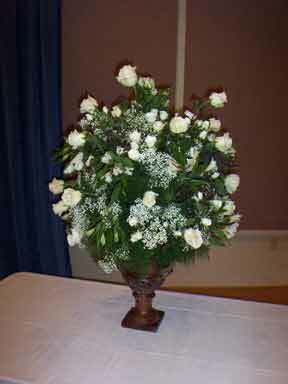 Take a look at some examples we've done for bridal & baby flowers. When planning your next holiday party, don't just focus on party decorations and food. Flowers can make a powerful statement as well and HARDIN'S GARDENS GREENHOUSE & FLORIST can't wait to start designing your next flower arrangements and centerpieces. If you are having a simple holiday party, a few beautiful themed table arrangements will be great. However, if you are hosting a more elegant holiday party, choose from gorgeous table centerpieces and arrangements. No matter what the size or style of your event, HARDIN'S GARDENS GREENHOUSE & FLORIST will create the look you're going for. 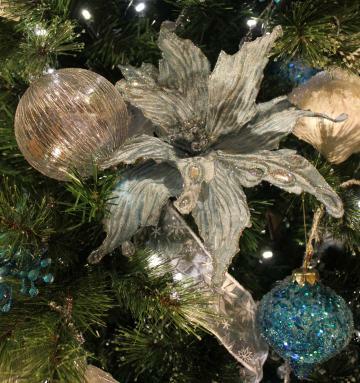 We can't wait to start designing flowers for your next holiday party. No matter what the occasion, HARDIN'S GARDENS GREENHOUSE & FLORIST will always create exactly what you're wanting for your special occasion. Check out our gallery of holiday party arrangements here! There's no denying that flowers help create the tone for an event. When guests walk into your gala, the right arrangement will immediately project the feeling of the event. Therefore, they must be exactly what you want. HARDIN'S GARDENS GREENHOUSE & FLORIST wants to capture your event style through each one of their floral designs. From your centerpieces to table arrangements, we'll make sure every aspect fully captures your vision. No matter the size, color scheme or theme, we make sure to illustrate your plan with each detail. 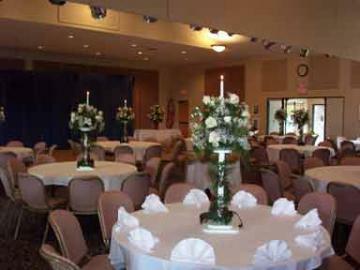 Browse our fabulous gala arrangements here!